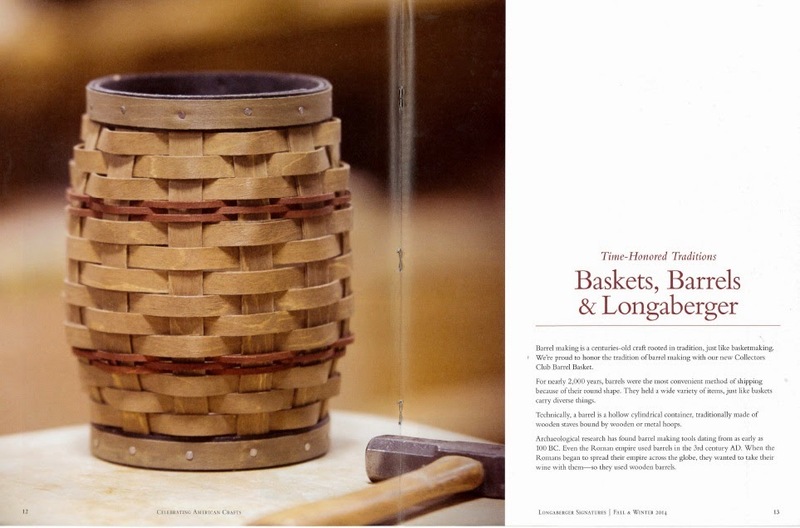 Barrel making is a centuries-old craft rooted in tradition, just like basket making. We’re proud to honor the tradition of barrel making with our new Barrel Basket. For nearly 2,000 years, barrels were the most convenient method of shipping because of their round shape. They held a wide variety of items, just like baskets carry diverse things. Techincally, a barrel is a hollow cylindrical container, traditionally made of wooden staves bound by wooden or metal hoops. Archaeological research has found barrel making tools dating from as early as 100 BC. Even the Roman empire used barrels in the 3rd century AD. When the Romans began to spread their empire across the globe, they wanted to take their wine with them so they used wooden barrels. After transporting their wines in barrels, for some time, the Romans and other societies after them, started to realize that the oak barrels imparted new, pleasant qualities to the wine. The contact with the wood made the wine smoother and sometimes it also made it better tasting. Traditionally, the barrel was a standard size of measure referring to a set capacity or weight of a given commodity. For example, in the United Kingdom, a barrel of beer referred to a quantity of 36 gallons. That’s over 300 pounds! The talented designers at Longaberger have perfected the art of creating timeless beautiful baskets exclusively for Collectors Club members. Ahmad Takouri was excited about the Barrel Basket for Collectors Club members. 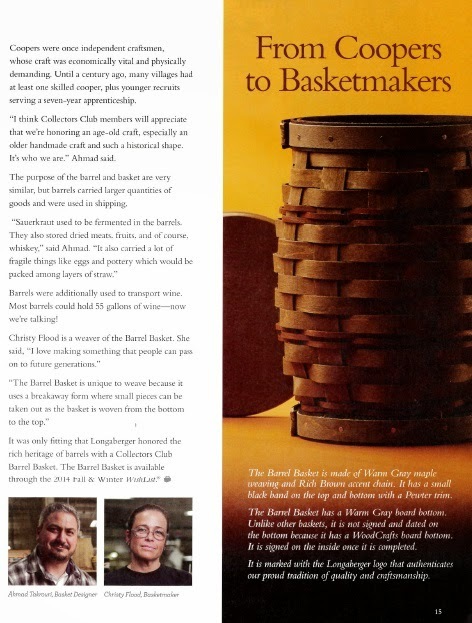 He has been a Basket Designer for 16 years with Longaberger. Ahmad works on the Collectors Club baskets and the Master Studio baskets. 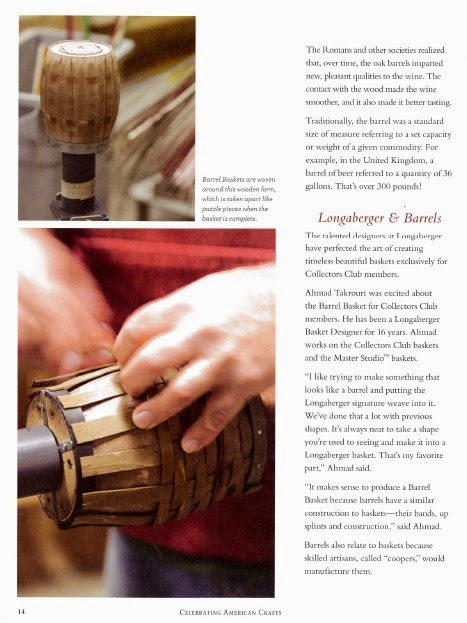 “I like trying to make something that looks like a barrel and putting the Longaberger signatures weave into it. We’ve done that a lot with previous shapes and it’s always neat to take a shape your used to seeing and making it into a Longaberger basket. That’s my favorite part,” Ahmad said. 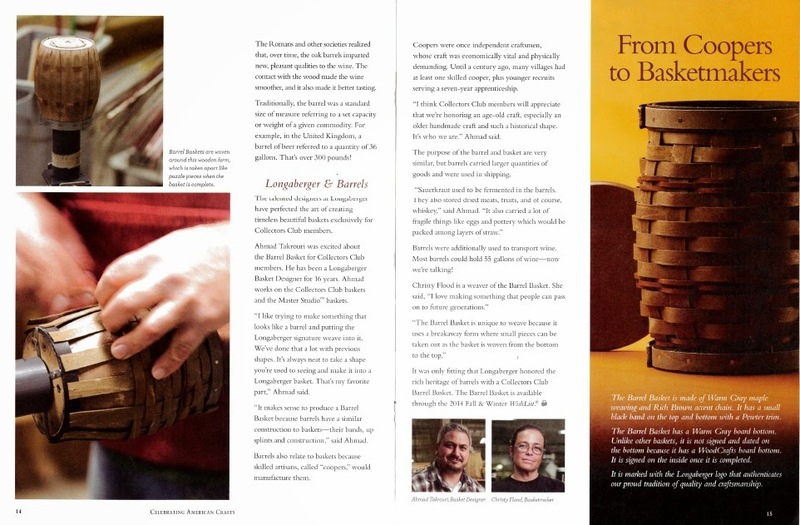 “It makes sense to produce a Barrel Basket because barrels have a similar construction to baskets because of their bands, up splints and construction,” said Ahmad. Barrels also relate to baskets because they require skilled artisans called “coopers” would manufacture them. Coopers were once independent craftsmen, whose craft was economically vital and physically demanding. Until a century ago, many villages had at least one skilled cooper, plus younger recruits serving a seven-year apprenticeship. “I think Collectors Club members will appreciate that we’re honoring an age-old craft, especially an older hand-made craft and such a historical shape. It’s who we are,” Ahmad said. The purpose of the barrel and basket are very similar, but barrels carried larger quantities of goods and were used in shipping. Barrels were additionally used to transport wine and most barrels could hold 55 gallons of wine. Now we’re talking. The Barrel Basket is unique to weave because it uses a breakaway form where small pieces can be taken out as the basket is woven from the bottom to the top. She joked that when she goes to garage sales and sees Longaberger baskets, she checks the bottoms to see if any of them have her initials. 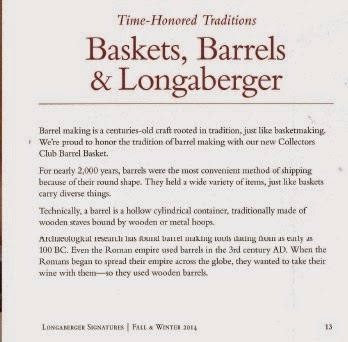 It was only fitting that Longberger honored the rich heritage of barrels with a Collectors Club Barrel Basket. The Barrel Basket is available through the Fall/ Winter WishList. The Barrel Basket is made of Soft Gray maple weaving and Rich Brown accent chain. It has a small black band on the top and bottom with a Pewter trim. The Barrel Basket has a soft gray board bottom. Unlike other baskets, it is not signed and dated on the bottom because it has a WoodCrafts board bottom. It is signed on the inside once it is completed. It is marked with the Longaberger logo that authenticates our proud tradition of quality and craftsmanship.